Terms: Net 7 days on receipt of invoice unless alternative payment terms are agreed to in writing by the supplier. The customer shall be liable to pay full expenses and legal costs incurred by the supplier as a result of the customer’s default. If the customer exceeds the agreed credit limit the supplier has the right to terminate the account indefinitely. The price of the goods shall be that at the date of delivery plus all such taxes and levies as my be payable thereon. All returns should be made in the original packing AFTER AUTHORISATION from the suppliers (and the method of return agreed upon). All consignments should be counted and checked for damage and/or shortage on receipt from the carrier. Any damage and/or shortage must be endorsed upon the carriers consignment note and claimed accordingly upon the carrying company. The customer bears the risk of any loss or deterioration of the goods due to any cause whatever from the time the suppliers effect delivery of the said goods at which time the risk in the goods will pass to the customer. • not have reduced in value by delay on the customer’s part. Customers should bring faults to BFM Distribution’s attention soon after they occur. • Change their mind about a product. This includes when a consumer has found a cheaper product elsewhere, or their circumstances have changed and they no longer require the goods. BFM Distribution do not take responsibility for any goods damaged or lost in transit when the customer sends the product back to us for warranty or return through a third party carrier. The warranty may be void if the product is damaged in transit. Please ensure the product is packed appropriately for shipping before sending it back to us. If you are unsure about how to pack a product appropriately for shipping please contact us. The consumer is responsible for any and all charges associated with returning the goods to BFM Distribution except where the goods are transported through BFM Distribution. Such charges may be reimbursed by BFM Distribution to the consumer where the consumer is entitled at law to have those charges reimbursed to them. For RTB (return to base) warranty claims: customers are required to send the product back to BFM Distribution or to the manufacturer with proof of purchase and a detailed fault description. BFM Distribution recommends customers call on 07 3353 0011 obtain further information on the warranty procedures and also access status updates. • All pick ups can only be collected once we have processed your order and have sent you a verification email or phone call stating when your order will be ready for pickup. • All orders ready for pick up but are not picked up within 2 days will be classed as uncollected and therefore will be cancelled unless other direction is provided. COLLECTION OF ALL ORDERS IS BETWEEN 9:00AM – 5:00PM MONDAY – FRIDAY. Products which are unavailable at time of ordering will not be put on backorder, it is the responsibility of the customer to re order any products required for their next delivery day keeping in mind delivery days to different suburbs. Some modification of orders (changing items) can occur after your order has been approved and is in the “Processing” status, subject to the modification being place before 2:30 on the day before delivery. Orders for the next delivery day are dispatched from our warehouse at 5am in the morning. Specific delivery times depend on the run size, distance travelled and traffic congestion, and weather, therefore while every attempt may be made to deliver at a certain time we cannot guarantee this. Further BFM Distribution will, under no circumstances, be responsible for delays in delivery, and associated damages, due to events beyond its reasonable control, including without limitation, acts of God or public enemy, acts of federal, state or local government, fire, floods, civil disobedience, strikes, lockouts, and freight embargoes. Your total cost for purchase of any product will include shipping and handling charges shown on the BFM Distribution invoice and before you place your order online. 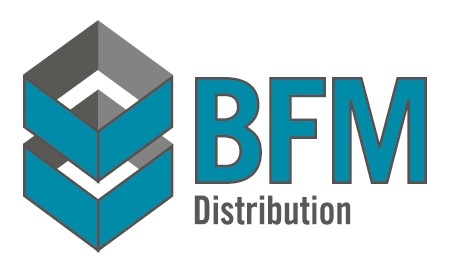 Where BFM Distribution can deliver within South East QLD we will, outside the Gold Coast , Sunshine Coast (including Maleny) Brisbane and Toowoomba we reserve the right to use an external carrier, this external carrier must be arranged by the customer at a cost to the customer including insurance. BFM Distribution will at no time be liable for problems that have occurred through the external carrier.